We are coming up on a season of spiritual iniquity. In the next eleven days there are two major Satanic and/or Wiccan holidays we want you to know about. Intercessors will note the increase in spiritual warfare during the upcoming weeks. Also, those who are satanic cult survivors may need extra prayer and counsel during these approaching dark holidays. Parents and those with spiritual authority need to take extra precautions to pray for and protect their children, congregations and pets (especially dogs) during this season. July 23 – Sothis Day: Specific to Crowleyean (as in Aleister Crowley) and Setian cults. Crowley was a leading black magician of the 20th century. His followers in the OTO (Ordo Templi Orientis) revere the ancient Egyptian version of haSatan, known as the dog-headed el (false g-d) Set. In the West we refer to the brutal heat of late July through early August as the Dog Days. During this time, satanists and other groups make animal sacrifices. Dogs, particularly German Shepherds, are often taken and slaughtered. Pet owners beware. July 31-August 1 Lammas or Lughnasadh: A well-known occultic and satanic holiday/feast traditionally celebrated both in Britain and Ireland by pagans, both so-called “white witches” and Satanists. Many law enforcement agencies are aware of these dates because of animal and sometimes human sacrifices. These rituals were brought to the USA in the fifties during the pagan revival (see Wicca: Satan’s Little White Lie at http://www.withoneaccord.org/Witchcraft-Vampirism-Satanism_c_7.html. Among Wiccans, this is the chosen time for hand-fastings (witch weddings). It is a time to celebrate the coming in of the harvest in the northern climes. Among Satanists these dates are also a time that requires the sexual sacrifice of a virgin girl in addition to an animal sacrifice. So, again, keep an eye on your children and your animals. Additionally, of course, as many of you know – right now we are in the last period of the Islamic festival of Ramadan. This ends July 28. That ALSO increases the spiritual level of evil during this season. On a deeper level, these rituals are performed because practitioners believe they receive more power from the evil one. Unlike Yahuwah, Whose power is beyond infinite, the devil and his high level lackeys need to gain power from the worship of their deceived disciples and the shedding of innocent blood – animal or human. They also gain power from the defilement of innocence, because they know this displeases the Almighty. Prayer warriors interceding for the lost and spiritually bound often sense the concentration of dark evil energy ratchet up during seasons like this (we have a comprehensive list of ALL occult and Satanic holidays in the appendix of our book, LUCIFER DETHRONED). We STRONGLY recommend additional times of prayer and fasting during these weeks for your family and also for those you minister to, and for your community at large. Pray especially for all the children and adolescents who might have no one else to pray for them! We ask Your protection, Abba, over our families, our loved ones, our churches and our communities – especially the children and youth of our city who have no one else to pray for them. We claim all these souls for Messiah – that they might be saved and set free by the power of the gospel of Yahushua that we ALL be empowered to trample down the bastions of evil lurking within these seasons and false festivals. We bind these strongmen together with all their subsidiary imps. We weaken them with the blood of Calvary. We command them all to GO where our Master Yahushua tells them to go by the voice of His Holy Spirit. BLESS YOU FOR YOUR PRAYERS AND DONATIONS! Connect With Bill and Mary Schnoebelen With One Accord Ministries Bill & Mary’s Schnoebelen Official Channel On Youtube William Schnoebelen On Facebook Free Resources & Teachings on their website such as free audio teachings http://www.withoneaccord.org/Audio-Teachings DVDs VACCINE WARS (DVD) Freemasonry: Fatal in the First Degree Exposing the Illuminati from Within (Expanded) 2 DVD set The Order of the Eastern Star: Ladies of the Labyrinth (DVD) Wicca: Satan's Little White Lie Population Control - Increasing the Death Rate (3 DVDs) Tares among the Wheat (DVD) Mormonism's Temple of Doom 2011- (DVD) Vampires and Werewolves: Real or Fake? (DVD) Russia's Secret Weapon to Destroy America (DVD) BOOKS: Christianity & the Bible Spiritual Warfare & Deliverance LDS/Mormons Masonry Other Religions Witchcraft, Vampirism & Satanism UFO's Endtime Prophecy & World Events Wellness Products About Bill Schnoebelen Since his miraculous salvation in Yah’Shua (Jesus Christ) over 28 years ago, Rev. William “Bill” Schnoebelen has faithfully pressed into the calling and anointing of God to teach Biblical revelation to the Body of Messiah and lead the lost into salvation. A prayer warrior, Biblical scholar and author, he founded With One Accord Ministries in 1992. 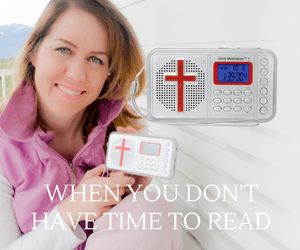 Since then, the anointing of the Ruach HaKodesh (Holy Spirit) has allowed him to minister to thousands across the globe through preaching, books, videos, and countless booklets, articles and tracts. He earned a Masters in Theological Studies degree in 1980 and a Master of Arts degree in counseling in 1990. Following the Holy Spirit’s lead, he acquired degrees in Naturopathic medicine and Nutritional Herbology becoming a Certified Natural Health Professional in 2004. Recognized as a Biblical authority on alternative religions and the occult, previous to his salvation Bill spent sixteen years as a teacher of witchcraft, spiritism and ceremonial magick. To Yah’Shua’s glory, the Ruach has continually used Bill’s experience as a Druidic high priest, ordained spiritist minister and former satanist to teach Christians the intricacies of spiritual warfare and minister to those lost in cults. He also spent nine years as an active member of the Freemasonic fraternity (both York and Scottish rite) and five years as a devout member of the LDS (Mormon) church, where he held numerous offices, including elders’ quorum president. Bill held temple recommends in the LDS church for four years. Rev. William “Bill” Schnoebelen’s autobiography, Lucifer Dethroned, is a gripping account of his descent into the darkest side of mysticism and magick and subsequent restoration through grace and the love of Yah'shua. His testimonies are thorough historical surveys of contemporary satanism. 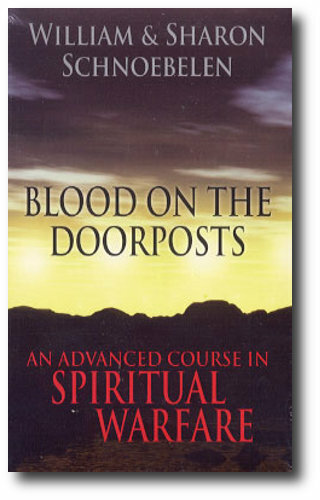 His second book, Blood on the Doorposts, is the prayerful result of thousands of hours spent counseling people to freedom from oppressive religious systems or dysfunctional relationships – this book functions as a graduate level course on prayer therapy and spiritual warfare. Rev. Schnoebelen speaks to congregations, at conferences and ministers on a wide variety of topics.